Tenerife Trips informs users of the website about its policy regarding the treatment and protection of personal data of our users and customers that may be collected by browsing, buying or contracting services through our website. In this sense, Tenerife Trips guarantees compliance with current regulations regarding the protection of personal data, reflected in the Organic Law 15/1999 of December 13, on the Protection of Personal Data and in Royal Decree 1720/2007, of December 21 st, which approves the Development Regulation of the LOPD and in Regulation EU 2016/679 (General Data Protection Regulation). Send periodic emails regarding your order or other products and services. Follow up with them after correspondence via email. We implement a variety of security measures when a user places an order, enters, submits, or accesses his information to maintain the safety of the personal information. You can choose to have your computer warn you each time a cookie is being sent, or you can choose to turn off all cookies. You do this through your browser settings. Since all browsers are a little bit different, look at your browser’s Help Menu to learn the correct way to modify your cookies. 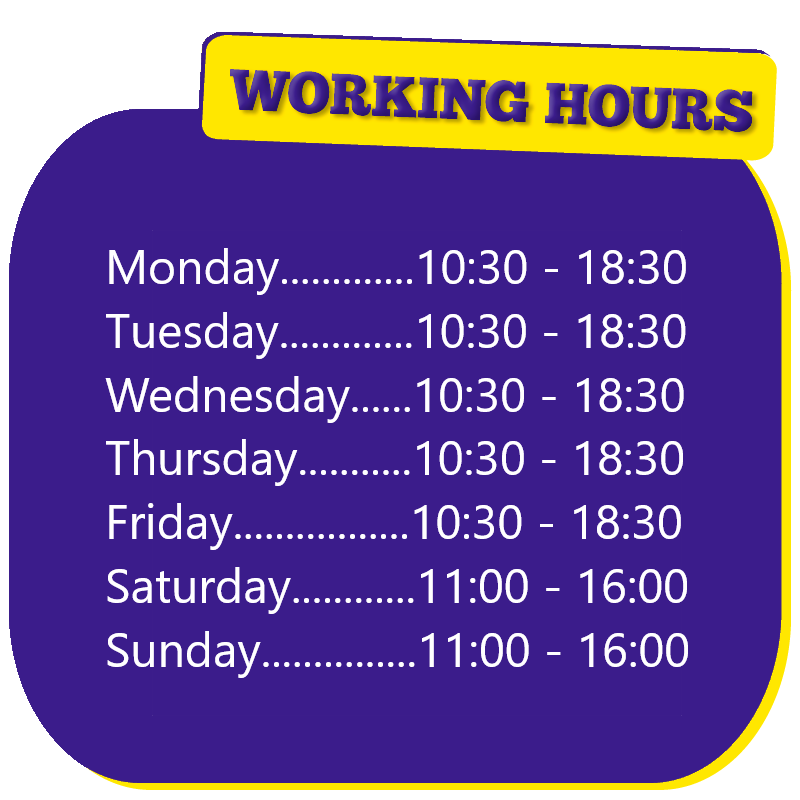 We do not include or offer third-party products, ads or external links to services outside our website. We DO NOT use Google AdSense Advertising or other AD vendors on our website. We, along with third-party vendors such as Google, use first-party cookies (such as the Google Analytics cookies) to improve our services and the customers experience in our site. We do not sell any information or data from our customers or visitors. We honor Do Not Track signals and Do Not Track, plant cookies, when a Do Not Track (DNT) browser mechanism is in place. It’s also important to note that you will be tracked by third-party behavioral tracking with external services such as facebook and Instagram, both property of facebook.com and instagram.com. The Fair Information Practices Principles form the backbone of the privacy law in the European Union and the concepts they include have played a significant role in the development of data protection laws around the globe. Understanding the Fair Information Practice Principles and how they should be implemented is critical to comply with the various privacy laws that protect personal information. Market to our mailing list or continue to send relevant emails to our clients after the original transaction has occurred. 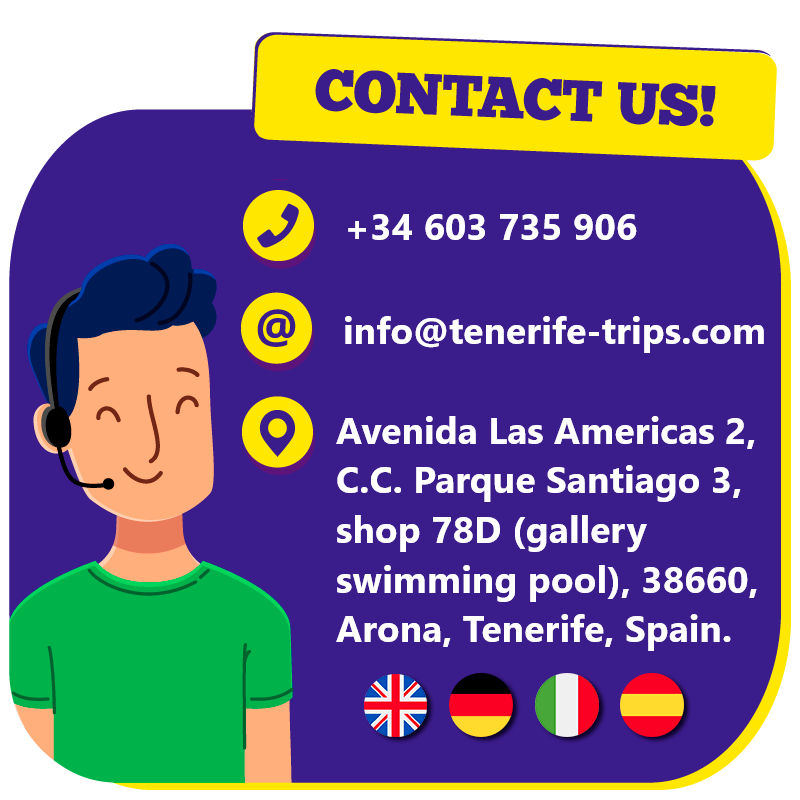 If at any time you would like to unsubscribe from receiving future emails, you can email us at info@tenerife-trips.com and we will promptly remove you from ALL correspondence. Arona, Tenerife 38660 (Spain), in person of his legal representative. Personal data will be stored until you withdraw your consent and in any case for the period required by the specific obligations or by applicable law. present a complaint to the competent supervisory authority. The data subject can exercise the rights by sending a written request to the data controller direct to the legal address of Tenerife Trips or to the mail address info@tenerife-trips.com.